Thermo Fisher Scientific is the world leader in serving science, enabling our customers to make the world healthier, cleaner and safer. Our comprehensive range includes high-end analytical and process instrumentation, laboratory and environmental monitoring equipment as well as a complete range of consumables, chemicals and reagents. With reliable quality service and prompt technical support, Thermo Fisher Scientific offers a one stop shop experience to deliver consistent customer satisfaction and unleash innovative business potentials. 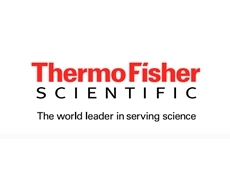 In Australia and New Zealand, you can access the renowned Thermo Scientific portfolio as well as premium brands from our supplier partners through Thermo Fisher Scientific. 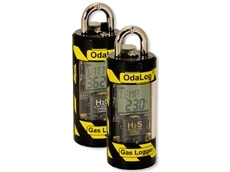 OdaLog® Gas loggers– Best solutions for gas detection applications to the waste water and other industries. The OdaLog® family of instruments includes portable gas loggers primarily designed for the wastewater industry– the industry-proven gas detection specialist for harsh environments.The OdaLog® loggers are primarily used at a location close to the source of Hydrogen Sulphide (H2S) emissions such as those found within sewerage pumping stations, receiving manholes and inside sewer collection lines.Applications:Gas monitoring in manholes, drains and pitsOdour monitoring in sewer and streaming waterVentilation pipes and rising mains Inside sewer collection linesSelected areas in treatment plantsAsset management and odour controlBenefits:Wireless transmission of H2S data from within sewer networkPowered by internal long-life lithium batteries (greater than 12 months)Easy-to-access H2S data through using proprietary OdaStat-G softwareSpecially designed for harsh wastewater environments Model numbers and details and differences between models in this range where appropriate.ØOdaLog® L2 The OdaLog® has been specifically designed to withstand harsh environments typically found in the Wastewater Industry. 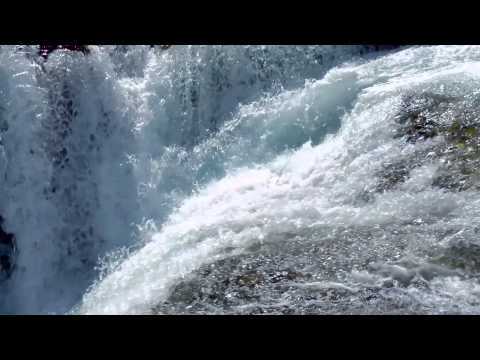 The OdaLog® is primarily used by locating it at or close to the source of Hydrogen Sulphide emissions such as within sewerage pumping stations and receiving manholes. 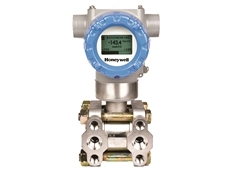 Its purpose is to monitor gas levels to help control H2S gas in sewerage systems and treatment plants for later review and evaluation using OdaStat-G software.ØOdaLog® RTxThe OdaLog® RTx is the next generation of OdaLog® gas logger that utilises an in-built cellular modem to transmit real time gas concentration data to a dedicated Internet server that is remotely accessible using the latest OdaStat-G software application. 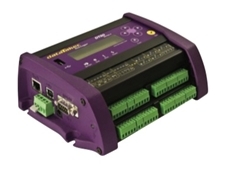 The OdaLog RTx provides a M2M solution for the integration of device and sensor data with the big data, analytics and other enterprise applications behind the IOT. 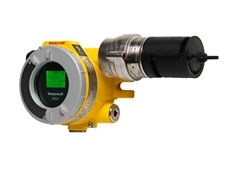 Searchpoint Optima Plus is an infrared point Hydrocarbon gas detector certified for use in potentially explosive atmospheres. The unit’s infrared detection principle offers the fastest speed of response and fail-to-safe operation. Reduced routine maintenance, when compared with conventional electro-catalytic based gas detectors, provides low ongoing cost. Advanced internal fault diagnostics and false alarm rejection algorithms ensures it delivers the highest level of operational integrity.Features:Failsafe operationFast speed of responseReduced routine maintenanceImmune to catalytic poisonsLong operating life Works in inert atmospheres Thermo Fisher Scientific offers a full range of portable, fixed point and open path gas detection equipment which incorporates leading edge Infrared, Electrochemical, PID, Catalytic and Chemcassette® technology. 04/06/18 - Tamworth Environmental Laboratory of the Tamworth Regional Council has received NATA accreditation to use Canadian technology from TECTA-PDS to automate their water testing for E. coli and Total Coliforms.The only US EPA approved automated method for drinking water compliance testing, the TECTA-PDS automated microbial detection system, TECTA B16 combines speed of detection with ease of testing. 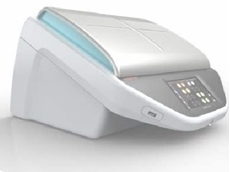 The portability and complete testing capabilities, including interpretation of results and full reports sent immediately via email, will provide lab grade quality results instantly for Tamworth Laboratory.The laboratory was previously outsourcing their micro samples to an external lab, leading to a wait of several days to receive the results, which caused operational delays for both the lab and their customers. Supplied by TECTA-PDS’ regional distributor Thermo Fisher Scientific, the TECTA B16 instrument is helping Tamworth reduce a minimum of 1 day time-to-result as well as minimise shipping costs for samples. The ease of use as well as the limited training required for a lab technician to run aseptic microbial samples is also helping Tamworth Lab from an operational perspective.Tim Adams, EVP TECTA-PDS says, “This is a fantastic step forward in the Australian market. We are very proud to be adopted in over 35 countries and look forward to continuing to work closely together with Tamworth Laboratory and in Australia.”Observing that the requirement for timely microbiological analysis for drinking water was identified as a public health issue in the region, James Anderson, Senior Laboratory Technician at Tamworth Environmental Laboratory said TECTA B16 provided the solution with the added benefits of rapid detection and notification over other methodologies. 03/04/18 - To assist with key challenges of modern day plant operations, manufacturers are investing in improved calibration and asset management strategies. Smart, scalable and easy-to-use software solutions such as 4Sight2™ from Baker Hughes, a GE company, are essential tools for manufacturers to help improve efficiencies in their business.Core reasons for you to invest in calibration management software: Be fully compliant and audit readyRegardless of the size of the installed base of your instrumentation, calibration always poses a challenge. A software solution that seamlessly integrates with existing calibration equipment can automate task downloads and direct uploads of results, providing simple control over calibration, maintenance workflow and easy access to audit-ready data. Take a predictive approach to maintenanceUse comprehensive asset analysis to check each device’s performance over time. This will enable you to plan preventative actions and choose the most cost-effective and reliable equipment. Have the flexibility to grow with operationsThe ideal software solution is one that will grow with your plant operations, offering multi-license packages that can cater for an increasing number of technicians and equipment. As plant numbers grow plant managers can share insights about operations with consistent reporting and verifiable compliance. Having the ability to install software directly onto a company server in this context is a real benefit; as are lowered investment costs and minimized IT requirements in terms of server support, upgrade management and data backup. Increase operational efficienciesPlant operations will become more efficient with improved predictive and proactive maintenance (therefore less repairs or breakdowns). Unnecessary paperwork and filing tasks will be minimised and the quality of records for audits and compliance will improve. For more information, call 1300 735 295, email infoindustrialAU@thermofisher.com or visit www.thermofisher.com.au/ge-test-calibration. 22/03/18 - GE company Baker Hughes presents 4Sight2, a new calibration management software solution that helps manufacturers improve efficiencies in their operations.Manufacturers all over the world are increasingly investing in improved calibration and asset management strategies to assist with key challenges of modern day plant operations.Here are 4 important reasons why manufacturers should invest in the smart, scalable and easy-to-use 4Sight2 calibration management software:Be fully compliant and audit readyCalibration is a major challenge in manufacturing plants, regardless of the size of the installed instrumentation. 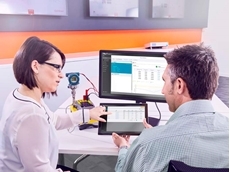 By seamlessly integrating with existing calibration equipment, 4Sight2 calibration management software can automate task downloads and direct uploads of results, providing simple control over calibration and maintenance workflow, and easy access to audit-ready data.Take a predictive approach to maintenanceOperators can use the comprehensive asset analysis feature to check each device’s performance over time. 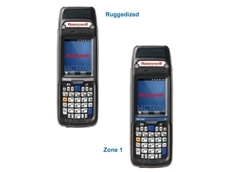 This will help plant personnel plan preventative actions and choose the most cost-effective and reliable equipment.Have the flexibility to grow with operationsThe calibration management software, 4Sight2 is designed to grow with the company’s plant operations through multi-license packages that can cater for a progressively increasing number of technicians and equipment. Plant managers can share insights about operations with consistent reporting and verifiable compliance. The software can be installed directly onto a company server to deliver key benefits such as reducing investment costs and minimising IT requirements in terms of server support, upgrade management and data backup. Increase operational efficienciesImprovements in predictive and proactive maintenance help minimise repairs and potential breakdowns, making plant operations more efficient. Plant managers and operators will benefit from the reduction in unnecessary paperwork and filing tasks while benefitting from improved quality of records for audits and compliance. For more information, please contact Thermo Fisher Scientific at 1300 735 295 or visit their website.